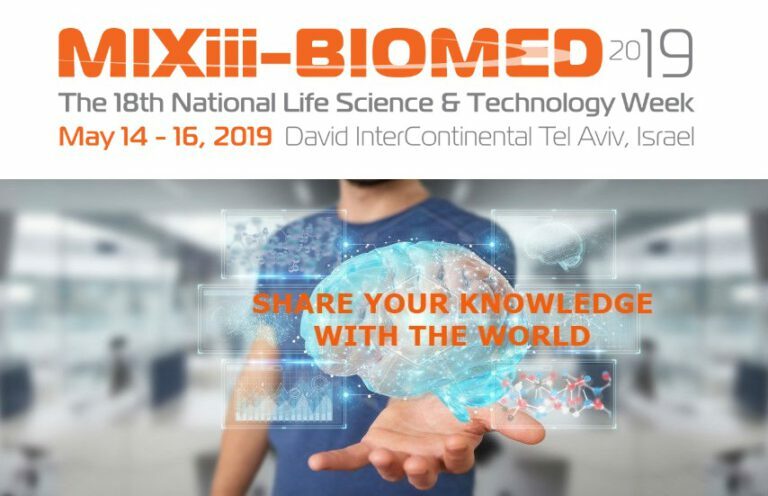 The future of healthcare was on display at the MIXiii BIOMED conference in Tel Aviv this week as Israeli and international digital health companies exhibited their products, services and technologies. BrainMARC, a two-year-old Israeli startup in a technology incubator in Yokne’am, was demonstrating to one participant how its technology works. Donning a headset with one electrode positioned snugly on the forehead of the user, a participant was asked to repeat a series of numbers backwards, starting with two-digit numbers and going up to four or five digits. The screen recorded the degree of brain engagement of the user. “Through our technology we are able to see how engaged your brain is during the tests, and whether your brain finds the task easy or not,” said Yael Rozen, one of the founders of the startup. The technology is being used in a pilot by the Reuth Medical & Rehabilitation Center in Tel Aviv to find out how best to suit physiotherapy treatments to stroke patients and others by monitoring how challenged their brain is by the treatment proposed. There are some 1,350 life sciences companies active in Israel, and 612 of them were created from 2007 to 2016, according to a report on Israel’s life sciences sector released by IATI- Israel Advanced Technology Industries, an umbrella organization of high-tech firms, VCs, startups and multinationals operating in Israel, which organized the conference. Some $823 million worth of investments flowed into the sector in 2016, or 20% of all investments in Israeli high-tech, the report said. “Following a decade of significant growth, the Israeli Life Science Industry continues to go strong and improve its position in the global healthcare market,” said Karin Mayer Rubinstein, CEO of IATI. And even as the industry is expanding and becoming more mature, there is a burst of young and dynamic digital health companies that are just starting their activities and “are highly innovative,” the report said. Global funding in digital health technologies has jumped from $537 million in 2009 to a record $6.1 billion in 2016, according to CB Insights a New York based data firm. Mega-deals, those above $100 million, have become increasingly prevalent in the space globally, the report said. Will we have finger chips? Another company demonstrating at the Tel Aviv conference was Medivizor, a Ramat Gan-based startup whose website allows patients suffering from chronic illnesses, or their families, to create a health profile online and get personalized information about their condition, including latest research and clinical trials. The website supports more than 600 conditions, 88 percent of them related to cancer and diabetes. The machine-learning technology trawls the web for the latest information on the conditions, finds information and research and then transforms this information into reports that are easy to understand and user-friendly. There are some 100,000 users of the website today, said Dr. Oren Fuerst, a co-founder of the startup. The former president of Intel in Israel, Mooly Eden, spoke to the global scientists, engineers and investors attending the conference of the revolutions that are expected in digital health in the not-so-distant future. Just like pacemaker are implanted into people today, so in the future we will see chips embedded in people’s arms or fingers that allow them to seamlessly open doors or start cars, he said on Tuesday, the first day of the conference. People will also be able one day to do away with the trappings of voice, sound or writing by transmitting information to the internet, and to each other, just with thought. “Eventually we will have brain-computer interface,” he told the quiet audience. “And the internet will be the extension of my brain,” he said. During the conference, the China Council for the Promotion of International Trade signed an memorandum of cooperation with IATI with the aim of boosting exchanges and joint ventures in the field of digital health between the two countries and participation at joint conferences. “The idea is to make the meeting between Chinese and Israel’s life sciences industries possible,” said Li Wang, a member of the Chinese delegation.